Extract of water pepper is a herbal tonic, which has a marked hemostatic effect. This tool reduces the permeability of capillaries and improves blood clotting. In addition, the drug increases the tone of the uterus and has little analgesic effect. Extract water pepper to stop bleeding. Specifically, the tool shown in uterine and postpartum bleeding, unstable contractions of the uterus. In particular, the drug is indicated in atony and hypotonia of the uterus. When heavy menstruation water pepper accept a part of complex treatment. The tool is used during the treatment of cervical erosion is for eliminating minor bleeding that occurs in postcompletion period. In addition, the water extract of pepper attended with bleeding of small vessels of the intestine and stomach, and also with hemorrhoidal bleeding. Make the water extract of pepper put 3-4 times a day. The dosage of the drug is 30-40 drops per reception. To use the tincture for 30 minutes before eating. The course of treatment is 5-10 days. In the absence of the pipette required quantity of the extract can be selected using the tablespoon – it contains 40 drops medications. Extract water pepper should not be used when embolism, increased blood clotting, the presence of hypersensitivity to the drug components. It is not recommended to take the remedy for nephritis and other kidney diseases, including the presence of inflammatory processes in the bladder. The drug is contraindicated during pregnancy because of its ability to increase uterine tone. 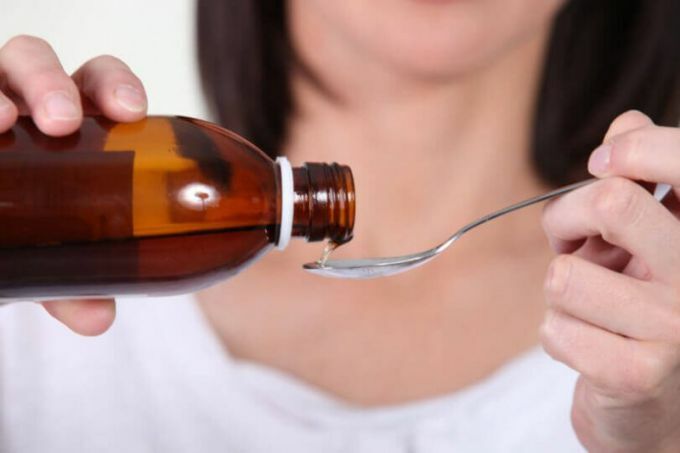 Also a tincture of water pepper should not be given to children up to 10 years in connection with the presence of drugs of alcohol. Lactating women can take the drug after consultation with a physician who must weigh the potential benefits and potential threats. With care the water extract of pepper should drink at liver issues, brain diseases, traumatic brain injuries, alcoholism. Not recommended to appoint this tincture adolescents under 18 years of age. Extract water pepper contains alcohol and therefore may influence the rate of reaction. Keep this in mind drivers and persons engaged in activities that require high concentration of attention. In some cases, in the treatment of water extract of pepper can manifest allergic reactions. Also when consuming this infusion, nausea, headache, dizziness. These side effects can be caused by intolerance to ingredients and reaction to be present in the composition of the drug ethanol. Water pepper or Polygonum pepper is a plant widely used in pharmacology. It is rich in essential oils, acids, vitamins and trace elements. But most of all water pepper is valued for its antiseptic, nasal drops on a cold and pain-relieving properties. Most often the drug is prescribed in the form of an aqueous or alcohol-based infusion that can be purchased at the pharmacy or make your own. Most often, the infusion of water pepper prescribed for painful and heavy menstruation, diseases of the uterus, and in postpartum bleeding. In addition, Highlander pepper is effective for the treatment of stomach ulcers, dysentery, intestinal diseases, and varicose veins. Ready infusion for the treatment can be purchased at the pharmacy. If the doctor made other appointments, take medication according to the standard scheme specified in the regulations. Dissolve 15 drops in half a glass of water and drink half an hour before meals three times a day. When heavy menstruation can change the treatment regimen, taking 30 drops of tincture to a glass of water three times a day. Such treatment should not continue more than three days. If bleeding you are still concerned, contact your doctor. The drug is not intended for regular use, assign it to yourself on a monthly basis is recommended. The drug there are contraindications. Water pepper stimulates the tone of the uterus, so it cannot be applied during pregnancy. In addition, it can cause individual allergic reactions, nausea and headache. Highlander pepper contraindicated for kidney disease. Note that the tincture has a diuretic effect. If you can't buy ready-made infusion, prepare it yourself. Pour a tablespoon of dry grass smartweed Cup of boiling water and insist under the lid for one hour. Take one tablespoon three times a day half an hour before meals. After a few days of intake needs to be a significant improvement. In the treatment of intestinal disorders may suit another recipe. Pour a tablespoon of dry raw materials Cup of boiling water and heat the mixture on water bath for about twenty minutes. Leave for an hour under a lid, strain and add 50 ml of boiled water. Take a third Cup three times a day before meals. The therapeutic properties of water pepper be manifested by the ability to stop bleeding. In addition, the water pepper has anti-inflammatory, antibacterial, analgesic and sedative properties. The drug is available in the form of an aqueous extract, it can be purchased at any pharmacy. Take water extract of pepper in the first days after birth in order for the uterus shrinking faster and postnatal discharge decreased. The drug does not affect the quality and production of breast milk. Take forty drops of extract three times a day thirty minutes before meals for about 6 weeks until discharge. Drink the water extract of pepper for painful and profuse menstruation. It should be thirty drops twice a day half an hour before meals for three months. If the treatment is effective, repeat treatment course after a month. Gastric ulcer, varicose veins, dysentery, take the water extract of pepper up to 3 times a day for 35 minutes before eating, dissolve 15 drops of medicine in half Cup water. Use the water extract of pepper for the treatment of uncomplicated skin inflammations, to eliminate dandruff. Make a healing mask for this in equal proportions mix the alcohol and water extract of pepper, add 10 drops of oil solution of vitamin E. Apply the mask on the scalp, and spread it across the hair length. Wash it off after fifteen minutes with shampoo and warm water. Use water pepper for the treatment of hemorrhoids, because this plant has a hemostatic and anti-inflammatory effect. During exacerbation of the disease to make a decoction from dry leaves of the plant, to do this, add 50 grams of dry water pepper two cups of boiling water and boil. Cool the broth and use for a hip bath and wash. Sitz baths to do for fifteen minutes. 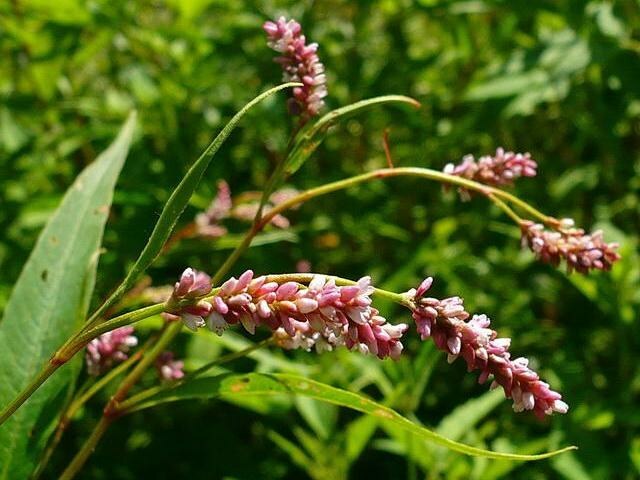 Extract water pepper we can not accept children under twelve years old, people with kidney disease, patients with allergies to plants in cases of known sensitivity to the drug. During pregnancy extract of water pepper is used only if the expected benefit from treatment exceeds the risk to the child.